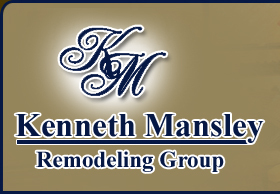 Kenneth Mansley Remodeling Group was started 9 years ago by Kenneth Mansley in Bucks County, Pa. Ken has over 20 years experience in the construction and remodeling business. Over time Ken found that he was drawn to the kitchen and bath specialty and formed a company dedicated to these every changing industries. K.M.R.G. performs all phases of design and construction including large scale interior kitchen & bath remodeling – both residential and commercial as well as insurance restoration. Our designs are done using state of the art technology allowing us to provide our clients with complete, detailed estimates and artwork. Our design staff continually monitors the latest industry trends and attends continuing education courses. In addition, they are members of NKBA (National Kitchen & Bath Association), the largest resource association representing the most skilled professionals in the industry. All employees and sub-contractors are licensed, insured, and have passed our thorough background checks thru Choice Point. Our main goal as a company is complete customer satisfaction. We strive to maintain high standards in quality and workmanship at all times while making our customers feel comfortable throughout the entire remodeling process.